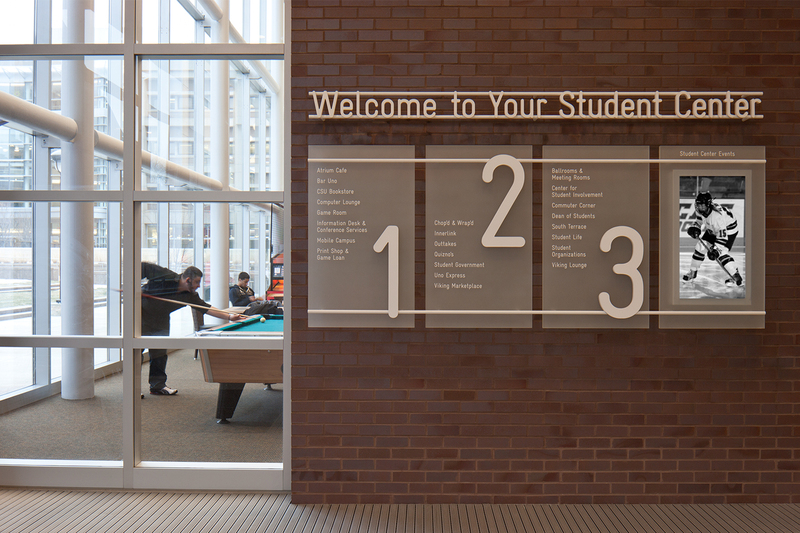 For the new 138,000 square foot Student Center at Cleveland State University in Ohio, Spagnola & Associates developed interior and exterior signage that is at once youthful, energetic, festive and functional. The bright, crisp color palette and clean look complement the building’s modern architecture. 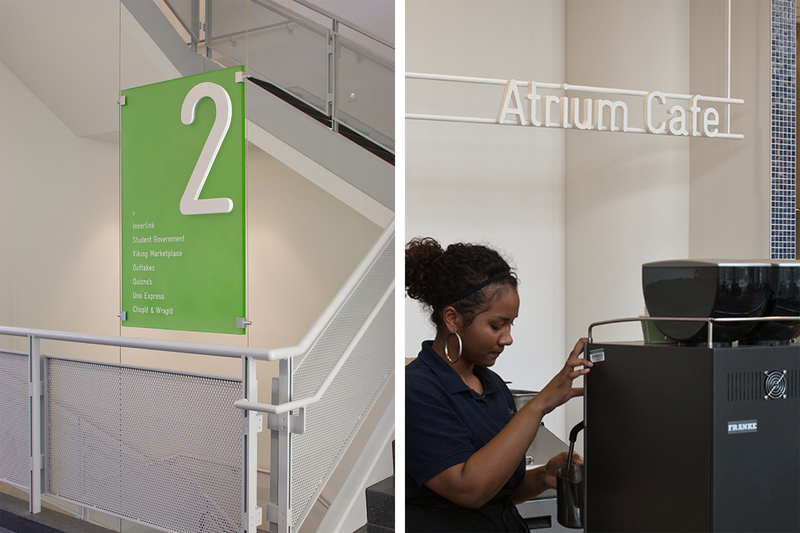 To evoke a sense of place, Spagnola & Associates used the University’s school colors for all signage. The design program includes building directories using video monitors to highlight daily activities, directional floor signs and other wayfinding elements. 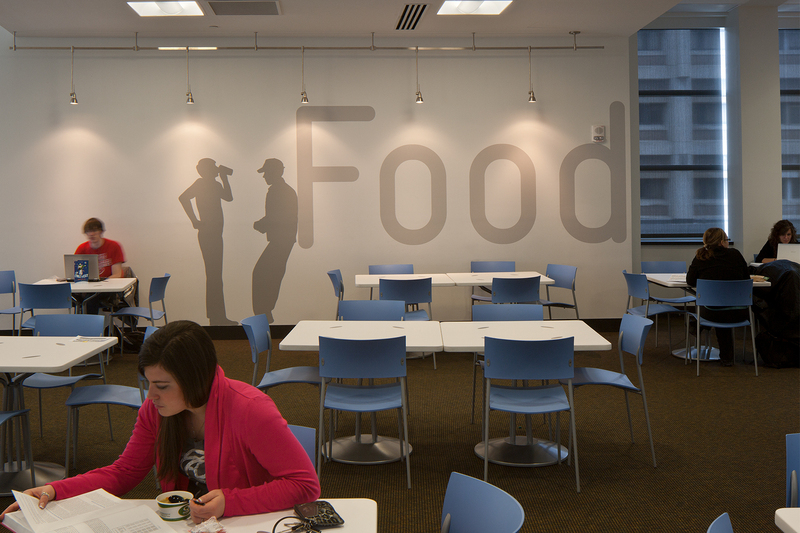 Throughout the building, large words on walls identifying each space are highlighted with life-size silhouettes of students, reinforcing their sense of ownership and conveying the message that this is their space.